(CBS/AP) Nearly 26 million Americans have type 2 diabetes, and now researchers say they may have a way to reverse the disease for many of them. Their studies give clear proof that weight-loss surgery can reverse and possibly cure diabetes and doctors are saying more people should be offered the surgery, and not just as last resort.. The two studies, released on Monday in the New England Journal of Medicine, are the first to compare stomach-reducing operations to medicines alone for "diabesity" - Type 2 diabetes caused by obesity. Millions of Americans have it, and can't make enough insulin to process sugar from what they eat. Both studies found that surgery helped far more patients achieve normal blood-sugar levels than medicines alone did. Some were able to stop taking insulin as soon as three days after their surgeries. Cholesterol and other heart risk factors also improved dramatically. Doctors don't like to say "cure" because they can't promise a disease will never come back. But in one study, most surgery patients were able to stop all diabetes drugs and have their disease stay in remission for at least two years. None of those treated with medicines alone could do that. "It is a major advance," said Dr. John Buse, a diabetes researcher at the University of North Carolina at Chapel Hill, who was no involved in the studies. Buse said he often recommends surgery to patients who are obese and can't control their blood-sugar through medications, but many are leery of it. "This evidence will help convince them that this really is an important therapy to at least consider," he said. There were signs that the surgery itself - not just weight loss - reverses diabetes. Food makes the gut produce hormones to spur insulin, so doctors think trimming away part of it surgically may affect those hormones. Weight-loss surgery "has proven to be a very appropriate and excellent treatment for diabetes," said one study co-leader, Dr. Francesco Rubino, chief of diabetes surgery at New York-Presbyterian Hospital/Weill Cornell Medical Center. "The most proper name for the surgery would be diabetes surgery." For a century, doctors have been treating diabetes with pills and insulin, and encouraging weight loss and exercise with limited success. Surgery offers hope for a long-term fix. It costs $15,000 to $25,000, and Medicare covers it for very obese people with diabetes. Gastric bypass is the most common type: Through "keyhole" surgery, doctors reduce the stomach to a small pouch and reconnect it to the small intestine. At the Cleveland Clinic, Dr. Philip Schauer studied 150 people given one of two types of surgery plus standard medicines or a third group given medicines alone. Their A1c levels - the key blood-sugar measure - were over 9 on average at the start. A healthy A1c is 6 or below. "Every single one of the bypass patients who got to 6 or less got there without the need for any diabetes medicines. Almost half of them were on insulin at the start. That's pretty amazing," said a study co-leader, Dr. Steven Nissen, the Cleveland Clinic's cardiovascular chief. The second study was led by Dr. Geltrude Mingrone at the Catholic University in Rome, with Rubino from New York. It involved 60 patients given one of two types of surgery or medicines alone. The researchers set as their goal an A1c under 6.5 - the level at which someone is considered to have diabetes. There were no deaths from surgery and only a few complications. Four patients in the Cleveland study needed second surgeries, and two in the Italian study needed hernia operations. Doctors note that uncontrolled diabetes has complications, too - many patients wind up on dialysis when their kidneys fail, and some need transplants. 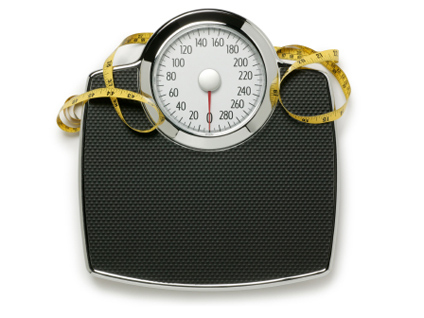 An adult who has a body mass index (a calculation based on height and weight) of 30 or more is considered obese. That's 203 pounds or more for a 5-foot-9 man, for example. The government recently lowered the criteria for use of gastric bands from a BMI of 35 down to 30 in diabetics or people with heart disease, opening the way for wider use of this and other procedures for obesity. The studies "are likely to have a major effect on future diabetes treatment," two diabetes experts from Australia, Dr. Paul Zimmet and George Alberti, wrote in an editorial in the medical journal. Surgery "should not be seen as a last resort" and should be considered earlier in treating obese people with diabetes, they wrote. In 2008, 60 Minutes interviewed Dr. Rubino. Now he and the researchers recommend that doctors consider weight-loss surgery as a treatment for obese patients' diabetes. "People think diabetes is chronic, irreversible disease," Rubino told 60 Minutes. "There is evidence now that diabetes is not always irreversible. In other words, it is not invincible."